This post was originally published in December of 2011. We’ve brought it back from the archives for you to enjoy as a perfect side or soup course this Thanksgiving! I love and adore my crockpot something awful. I mean, it’s way up there on the list. When I say up there, I mean smack dab in between my KitchenAid Mixer and my zester. My crockpot is like a best friend. Trust- worthy, smart, and always there to lend a helping hand. Normally, I don’t use my crockpot on the weekends due to the fact that Josh and I tend to cook together on those days and we don’t need to rush. But on this particular weekend day, Josh wasn’t going to be able to cook with me since he was going to be working on a podcast for The MacMob. (If you’ve missed reading some of Josh’s posts, it’s because he’s been moonlighting as a writer for an Apple tech website. I promise, he’ll be back writing for us soon though). And since he was busy, I thought it would be best to not worry about dinner too much and let my crockpot help me out for a few hours. This soup was such a delightful and sassy change from the kinds of soups we’re normally used to. 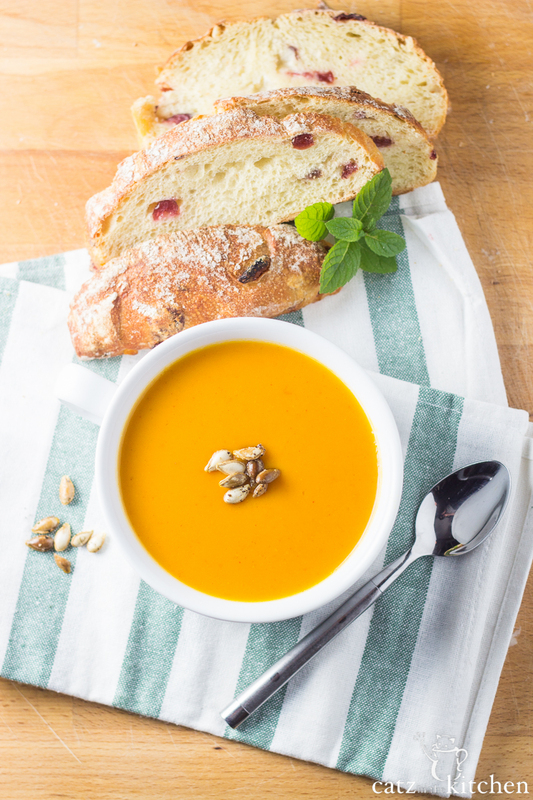 It’s sweet and spicy soup, and it goes perfectly when paired with some rolls and a drizzle of honey which really compliments all the different flavors in the soup. For extra garnish and flavor, I toasted and seasoned some of the seeds from the squash and placed them in the soup, and my 7 yr old went crazy for it, haha! She’s into crazy little garnishes like that. 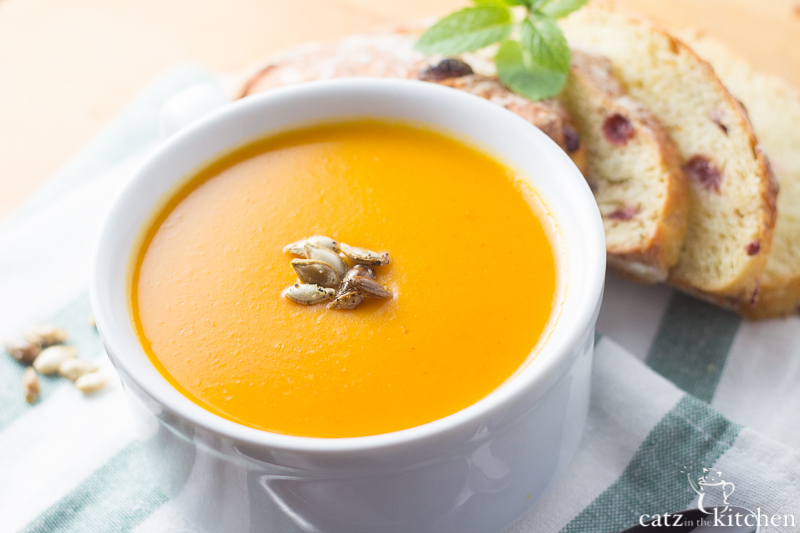 This soup is a must slurp eat for the Fall and Winter Seasons! 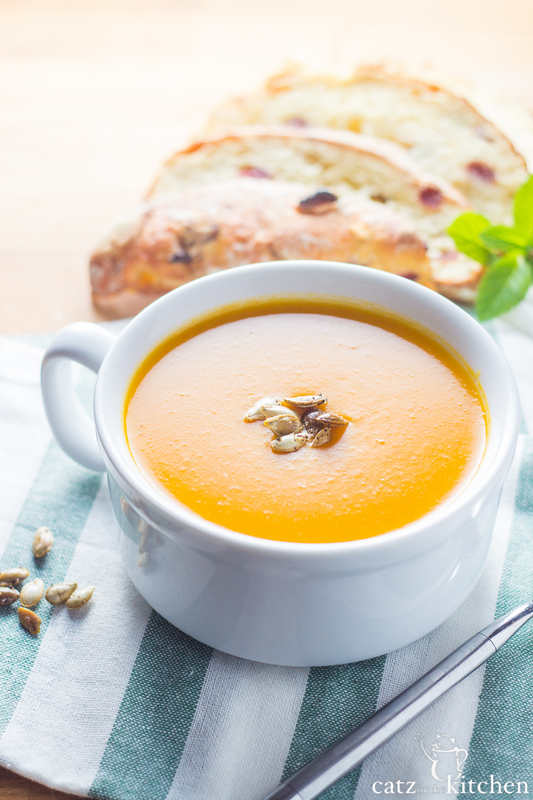 I've had sweet potato soup, and I've had butternut squash soup, but never combined! This sounds awesome! Looking for a yield here.... ?? Planning to make this tomorrow. Yum! Hi Julie! I'm so sorry about that - that information just must of slipped through our fingers when typing it up. It yields 4-6 servings, so depending on how many people you fix it for, there may be enough for second! ;) I'm making note of it in the post, thanks for bringing it to our attention.